Our patients come first. We understand that most people don't look forward to a visit to the dentist and for many it's something that they fear and dread. Our aim is to make every experience you have with us calm and gentle. Your needs and concerns will be listened to and you will be treated in a completely non-judgemental manner. NOW £49* *The £49 fee will be deducted from the cost of further treatment or will be fully refunded if found to be unsuitable for treatment. 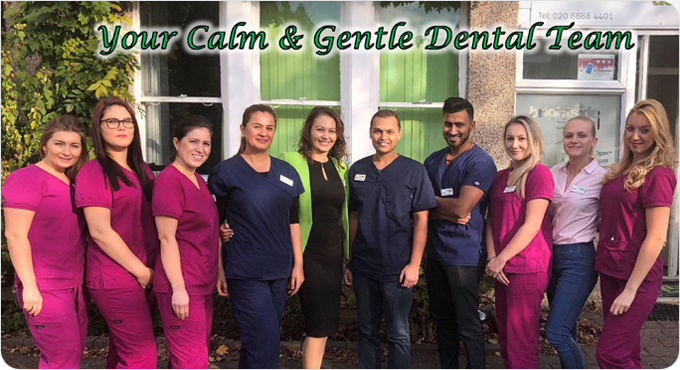 Dentists Bounds Green - Our cosmetic dentists in Bounds Green offer dental treatments for cosmetic, restorative, Preventative, orthodontics, general and nervous patients.